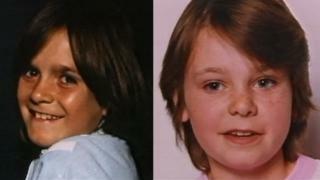 A 51-year-old man has pleaded not guilty to the murder of two nine-year-old schoolgirls more than 30 years ago. Nicola Fellows and Karen Hadaway went missing from their homes in Brighton and were found the following day in bushes at Wild Park, near the Moulsecoomb estate, on 9 October 1986. Russell Bishop appeared before Mr Justice Edis for a plea hearing at the Old Bailey via video link from prison. Mr Bishop will stand trial on 15 October. Wearing a black and white striped T-shirt and sitting with his arms crossed, he spoke only to confirm his name and enter his plea. The case is expected to last for six to eight weeks. Mr Bishop was remanded back into custody.